Don’t think for a moment that global entrepreneurship is for the private sector only! Today, no government, company or group, working alone, can solve a major issue. They have to work together. They are called ‘born global social entrepreneurs’. Ageing population, unemployment, mental illness, cutting carbon emissions: solutions to these and many other world problems are being exported, licensed, franchised and sold around the world. All over the world, social innovators are importing and exporting solutions to the most pressing problems facing society today – from fair trade, distance learning, hospices, urban farming and waste reduction to restorative justice and zero-carbon housing. They are driven by the notion of leapfrogging, namely transferring and adapting innovations developed by entrepreneurs in one country to solve the problems in another country. Think about these two types of global social entrepreneur. The ‘exporting social entrepreneur’ is someone who creates a social solution and exports it to other countries. The ‘importing social entrepreneur’ refers to the person or group who identifies a technology, product or service that can fill an important ‘gap’ on their side. The exporting social entrepreneur is motivated to become internationally engaged and wants to open up the solution to the broader world in order to advance their own mission, goals or programs. They can come from for-profit or not-for-profit organisations and they employ business methods aimed at social or ecological impacts. They are introducing new products, services or approaches that drive social transformation. Their financial return is optimised through fees and sales of products and services. [i] The following are examples of activities by exporting social entrepreneurs. Vision Spring (http://visionspring.org/ ) operates with more than one thousand micro-franchisees in developing countries around the world providing a uniform, a vision table, and different strength glasses to help ordinary people be able to pick pebbles from their rice or read their holy scriptures. 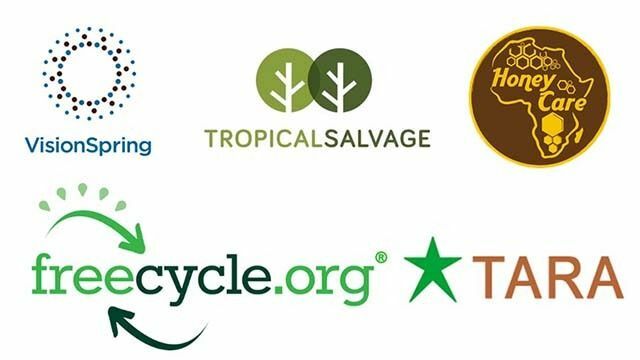 Tropical Salvage (https://tropicalsalvage.com/ ) addresses the wasteful sourcing of rainforest wood products from Indonsia by assisting and distributing fine-crafted products to the global market place, thus sparing living trees and locking carbon into furniture before the wood can be burnt. Honey Care Africa (http://honeycareafrica.com/) markets high-quality honey on the global market through franchisee beekeepers throughout East Africa, thus ensuring success by connecting producers to formal markets and downstream supply chain functions. Development Alternatives’ project called Technology and Action for Rural Advancement of India (http://www.tara.in) are now exporting micro-concrete roof tile kits and vertical shaft brick kilns that reduce energy consumption and emissions throughout Africa and South Asia. 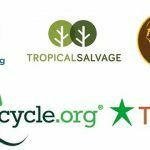 The Freecycle Network (http://www.freecycle.org) is a non-profit organisation registered in the US state of Arizona that organises a worldwide network of more than 5000 local chapters with 9,134,004 members around the world aiming to divert reusable goods from landfills. [i] Marshall, R. S. (2011). Conceptualizing the International For-Profit Social Entrepreneur. Journal of Business Ethics, 98(2), 183–198. https://doi.org/10.1007/s10551-010-0545-7; Marshall, R. S., Lieberman, J., & Pages, M. (2015). The International Social Entrepreneur. In S. A. Fernhaber & S. Prashantham (Eds. ), The Routledge Companion to International Entrepreneurship (1 edition, p. 84+). New York: Routledge; McDougall, P. P. (1989). International versus domestic entrepreneurship: New venture strategic behavior and industry structure. Journal of Business Venturing, 4(6), 387–400. https://doi.org/10.1016/0883-9026(89)90009-8; Zahra, S. A., Rawhouser, H. N., Bhawe, N., Neubaum, D. O., & Hayton, J. C. (2008). Globalization of social entrepreneurship opportunities. Strategic Entrepreneurship Journal, 2(2), 117–131. https://doi.org/10.1002/sej.43.